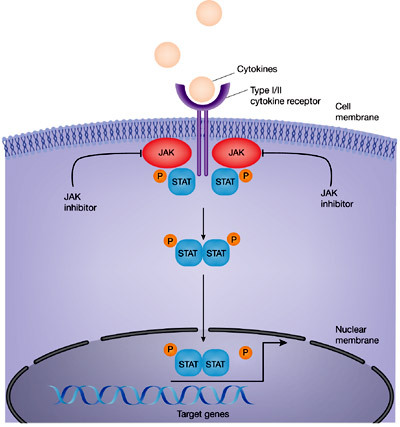 Pfizer has sailed through phase III trials with their new medication Xeljanz, a JAK inhibitor that te believe will be a game changer in the treatment of rheumatoid arthritis. This breakthrough medication is thought to not only rival big name biologicals like Humira, Enbrel, Simponi, etc… While some trials had patients on a stable dose of methotrexate with Xeljanz some are still saying that it could be a potential methotrexate replacement. Pfizer estimates the drug to cost roughly $25,00 a year due to the cost of research and development but as the first new DMARD offered to RA patients in close to a decade the price may not be enough to hurt them. The price will however hurt us, at over $60 a day this ‘revolutionary drug’ will be out of the reach of many and I suspect some rheumatologists will be hesitant to put their patients on such an expensive medication [though IV medications like Remicade and Actemra can be pricey as well but not quite as bad]. Posted in Clinical Trials, Doctors and tagged clinical trial, JAK, new medication, RA, rheumatoid arthritis, Xeljanz. Bookmark the permalink.